The inaugural ‘Crows Multicultural Respect Cup’ is an opportunity for all multicultural communities to join us for a fun day of all things Football! Whether you have played before, or have never engaged with Australian rules Football, everyone is welcome. This friendly community event was held on April 15 from 10.00am – 2.00pm, at Kilburn Football Club. 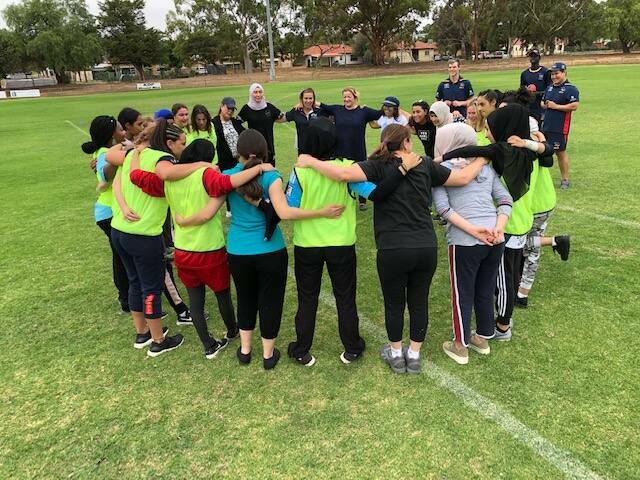 People from a range of cultures joined us and other members of the community for an exciting day of Football activities, accompanied by music, food (Halal), information stalls and fun! Any queries, please contact Adnon Jafari, Multicultural Trainee, ajafari@afc.com.au.